Bake cheesecakes, coffee cakes, quiches and more. Measures, 7"/18cm diameter by 2.5"/6cm deep. 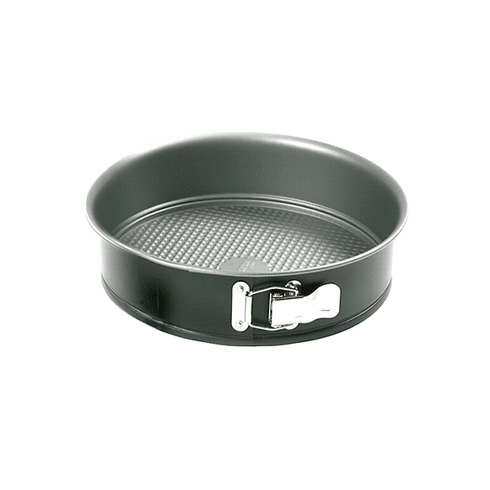 Durable steel construction with nonstick coating for effortless release. Spring latch firmly hold form together offering a tight leak proof seal. Dark finish to absorb rather than reflect heat. Hand washing recommended.